Monday nights are my favorite nights, and it’s because of all your beautiful faces. every Monday The Mill fills up with happy pizza eating people, and it just makes my heart sing. come out and grab a slice if ya feel like, but please try to come on the early side – we’ve been running out of pizza by 8pm most of the time. 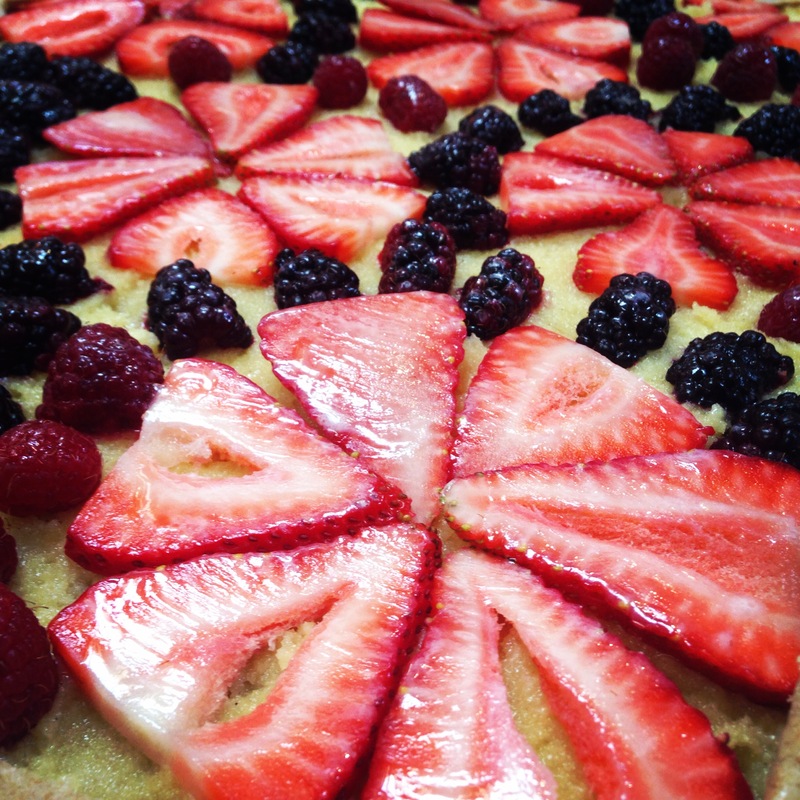 oh yeah, just a little heads up – we had to increase our prices by 50 cents a slice, so now it’s $3/slice, $24/pie. why the price hike? the toast was getting jealous. 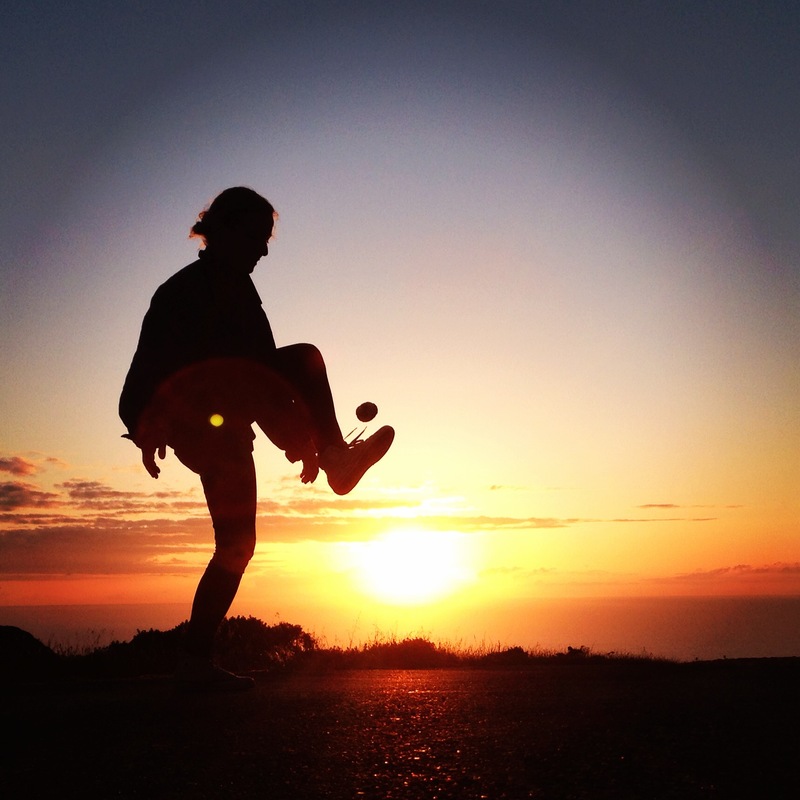 well, i’ve made it 31 one years on this here planet and this much i know is true: there ain’t a better way to end your day than hacky sacking on top of a mountain while drinking champagne and watching the sun dip down into the ocean. am i right, or am i right??? i’m oh so happy to hear if you’ve got a better idea, so speak up now, ya hear? okay now, let’s get down to business, i’ve got some veeeeery important stuff to share. let’s see now, where was i…? that is our workingman’s bread. (do you get it? if you do, you’ll also appreciate that what some people call their “office days” i refer to as my “dancing bear days.” what a long, strange trip…) we love workingman’s bread. it’s half rye flour, half wheat flour (all whole and stone ground at The Mill), and then we also sprout a bunch of rye berries and grind em up and work em in to the dough. aside from tasting real nice, i like to think that it’s a purty one as well… don’t you think? holy moly, the pizza last week really blew my mind. and i can say that, because to be totally honest, the topping combo was wholeheartedly not even my idea. ya see, at Josey Baker Bread we subscribe to a philosophy that can be summed up thusly: best idea wins. and sometimes i don’t have the best ideas, sometimes the wonderful folks that i am fortunate enough to employ have the best ideas. and this was one of em: snap pea, radish + mint. 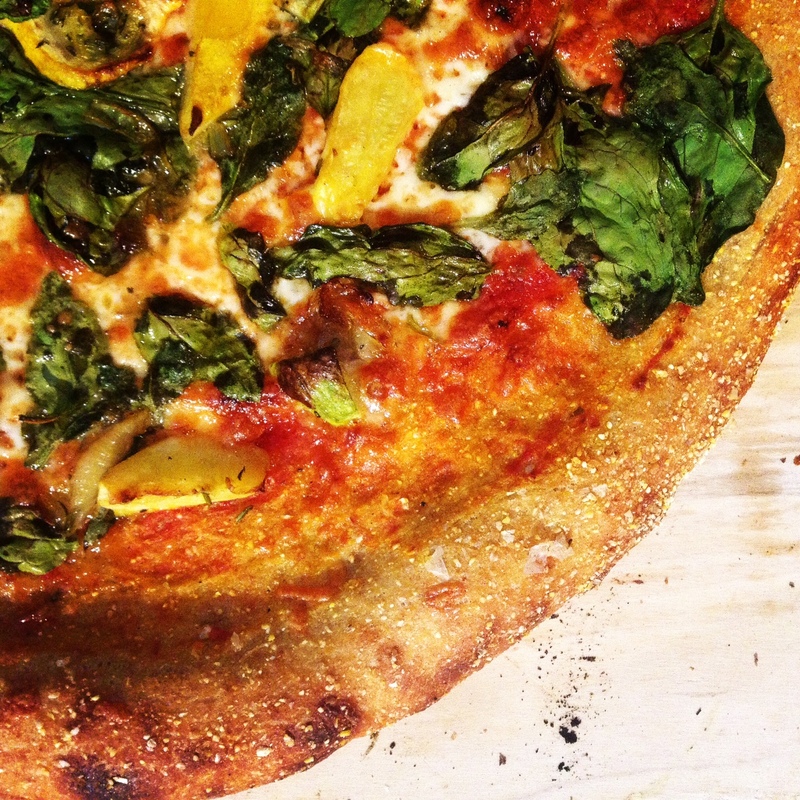 and tonight: summer squash, rosemary + spinach. 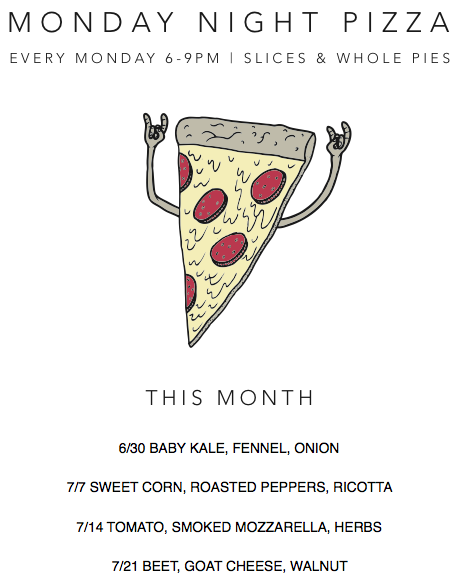 next week 6/16: corn, chard, + ricotta. 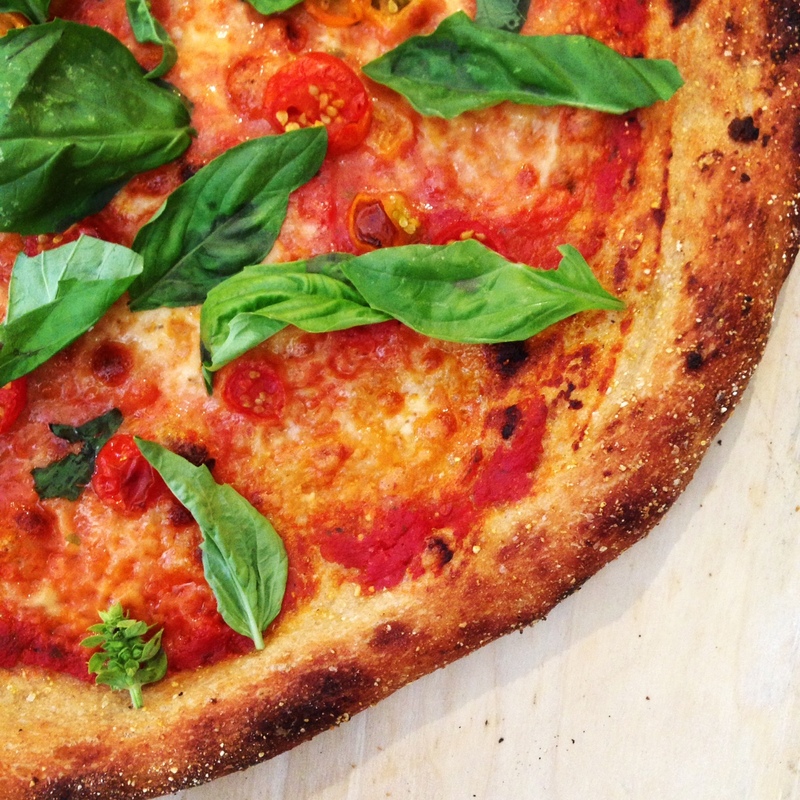 and the following Monday 6/23: tomato, basil, fresh mozzarella. 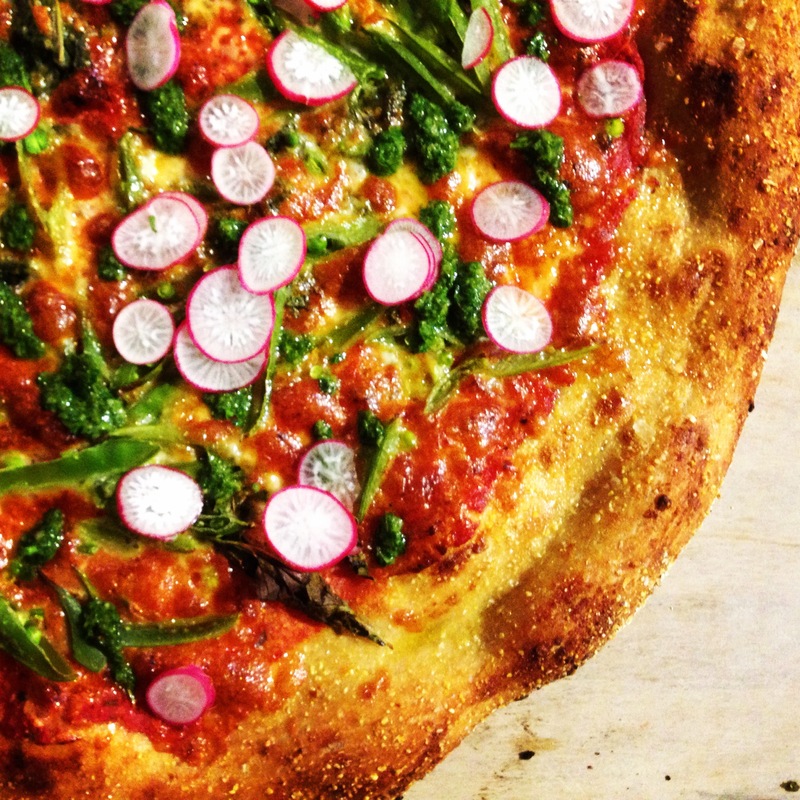 please enjoy the next couple pies for me, i will be away on book tour, and missing all of you and all of this pizza. 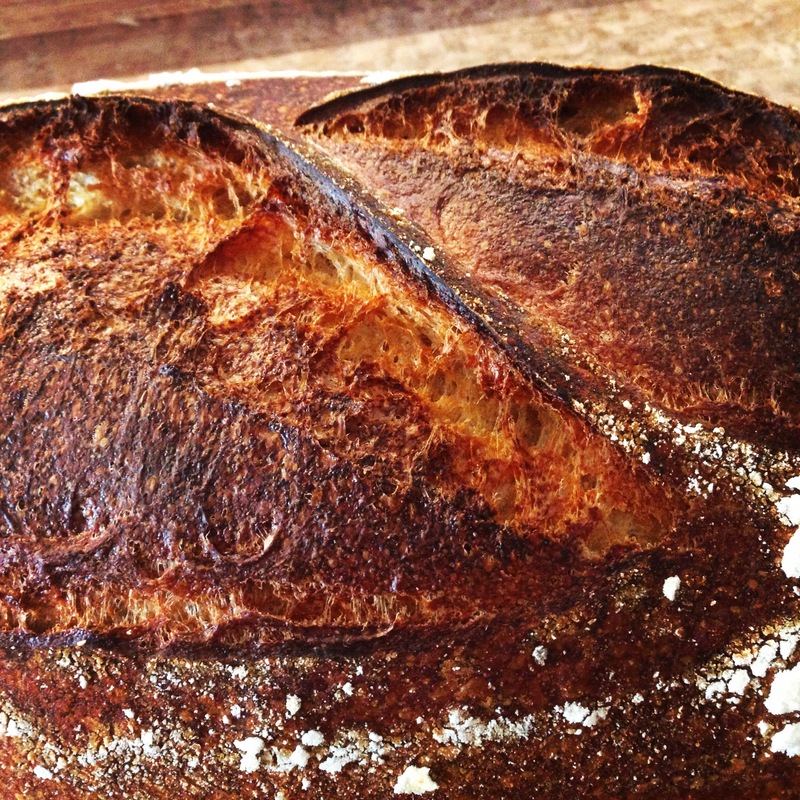 we’re always tweaking how we make the bread, and sometimes things go just right and it goes BOOM in the oven. the other day that happened, and it looked like that. it made me feel all warm and fuzzy inside. now i am VEEEERY pumped about that guy right there. ya see that is an experiment that i’ve been wanting to do for a long while, and i’ll tell you why. 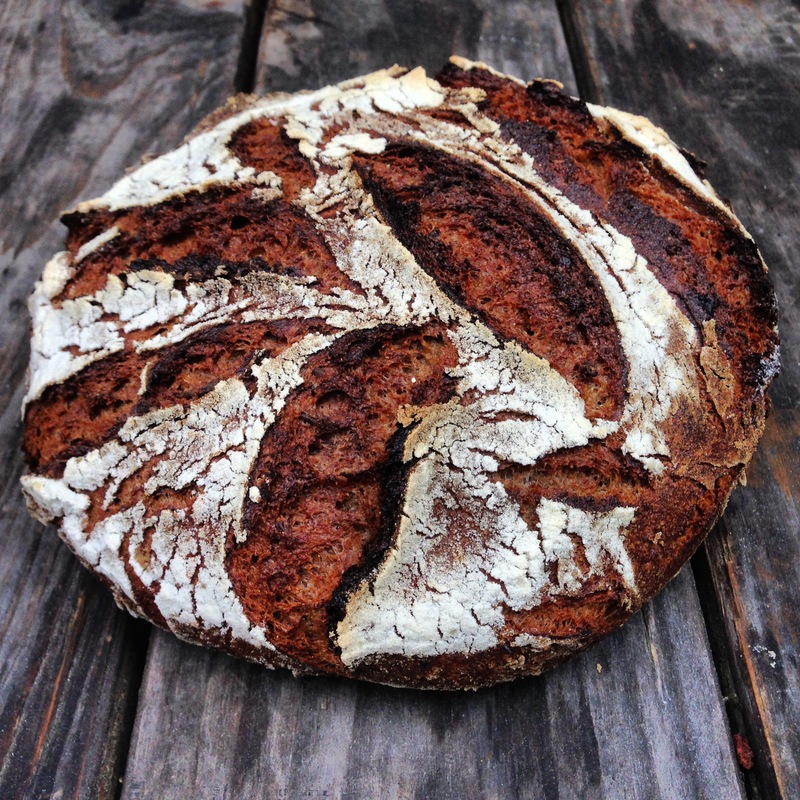 we are making some changes at The Mill, and one of the things we are going to start doing is making more breads with ancient grains, such as einkorn, spelt, and khorasan (same grain as Kamut, with a non-trademarked name). 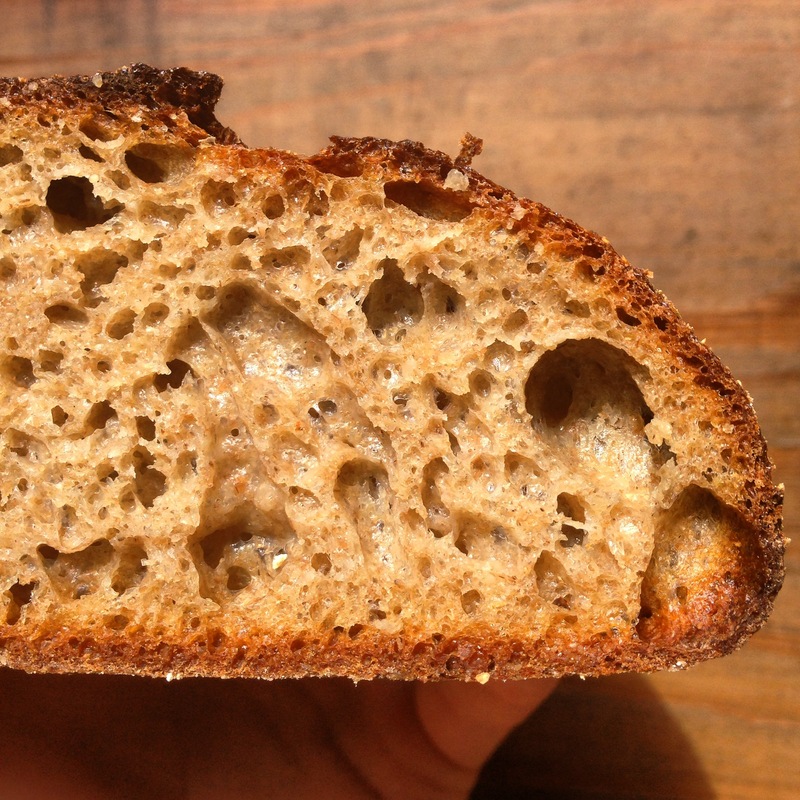 these grains behave differently in the dough than common wheat, and so present some fun and interesting challenges. we took a stab at it the other day, and this little beauty is what came of it. it’s a blend of einkorn, spelt and khorasan, with a weeeee bit of rye from the starter culture. all of the flour is whole grain, milled moments before being mixed into the dough. there’s no common wheat in it, nor is there any store bought yeast. we’re gonna start making it regularly soon, and we’re not quite sure what we are going to call it… got any good ideas? my brother came over last night, and i know how much he likes it when i make him snacks, so i made him this. 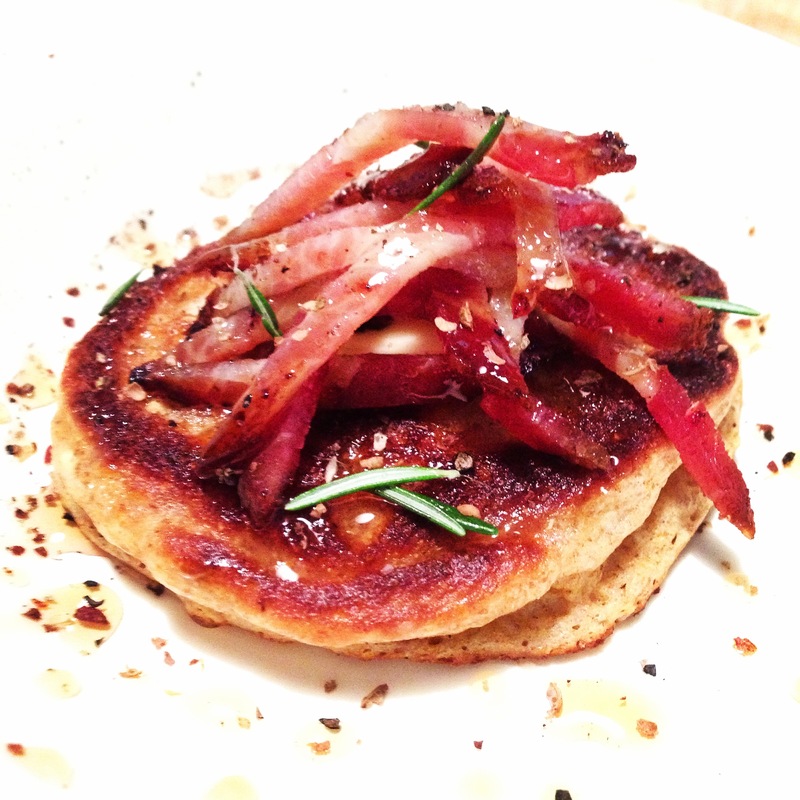 it’s our stone ground griddle cake, with some cutesy little strips of bacon, rosemary, maple syrup and szechuan peppercorn. i’m a bit outside of my comfort zone making stuff like this, but what the hell, ya gotta do that kinda stuff sometimes, yeah?